It is time to talk about a very dull subject, salad. Ho hum. There is a section of the grocery store devoted to "salad dressings" and I say skip it. Making your own is super easy and the taste is SO much better. If you eat salad—and you should eat salad—why not make it super tasty? 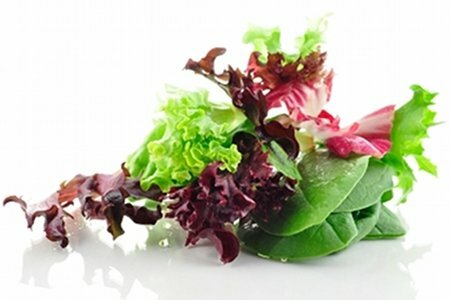 Also, it is healthy to use a little fat to aid the digestive system to absorb the nutrients in lettuce and other vegetables - see: A Little Fat Helps the Vegetables Go Down. Isn’t that funny? It tastes better and it is better for you as long as you don’t drown your lettuce so it needs to be rescued by a lifeguard. Okay, there are a lot of ingredients there and the first one is water. Water isn’t one that I would think of when it comes to dressing. The second, soybean oil, lacks flavor. When I eat a salad, I want it to taste delicious. There are a bunch of ingredients here that many of you will not like. This is a label for ranch dressing - and my friend Katie shared a great homemade one here: healthier ranch dressing. My favorite salad dressing is comprised of oil, vinegar, and a little Dijon mustard. Ina Garten, the Barefoot Contessa, has an informative and fun video on her site for how to make vinaigrette: Ina Garten Makes Salad Dressing. She is a much better chef. I mean LOOK at her salad. yum. Ina and I agree on California olive oil. I am a fan of California Ranch olive oil, which I can find at my Stop & Shop. It has a buttery flavor without any bitter or spicy kick and is my favorite for the price. To make a tasty salad dressing, you MUST have good quality olive oil. I know that sounds like I am some Food Network tyrant, but I have tried lesser brands and they just don’t taste very good. Do you make your own dressing? What do you use? Please share. I do pretty much what you do for vinaigrette but usually add garlic powder (also too lazy to chop). I also use a mason jar or dressing bottle. My husband prefers honey mustard which I make with mayo, dijon & yellow mustard, rice wine vinegar and honey. Also make a celery & pear salad with dressing of honey & vinegar. Sounds a little strange but very good. HaHa regarding too lazy to chop garlic--I can relate! If you don't buy it chopped then one trick I was shown way back in the 1990 (I have been making this dressing recipe it seems forever) is to take a clove and smash it sort of flat, which releases the aroma and oils and then simply rub the inside of the salad bowl with the smashed clove. Takes zero effort and really brightens this recipe...YUM and healthy! I would really like a salad dressing recipe with no oil of any kind. Just something tasty and stores well. I also need a coleslaw dressing recipe with no oil or mayonnaise. Any ideas would be appreciated. My whole childhood, my dad made a salad every single night to go with supper. He would just pour the oil and vinegar straight out of the bottles onto the greens. I sure don't think any of us ever thought of it as a "recipe" so it always makes me laugh when I see vinaigrette described that way. Now I do make it up ahead of time like you do, and also in a mason jar. But I keep mine in the pantry, because my olive oil solidifies in the fridge. I can't imagine that it needs to be refrigerated, because oil and vinegar can be stored separately at room temp; why not when mixed? Shake all ingredients together in a jar or bottle with a tight top. 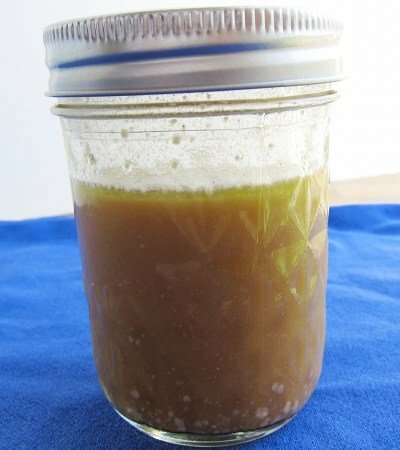 This dressing may be used on any mixed green salad, on artichokes, etc. Keep chilled. You can also substitute stock or broth for oil in many recipes. I gave up dressing a long time ago. Instead, I started going to the local oil store and buying the 18 year old traditional balsamic and I have a small bottle of it that I keep in my purse. When I am home, I might drizzle a little olive oil with it. The balsamic is delicious all by itself!! Love the lemon-mustard-honey vinaigrette too, esp on a spinach salad. This tahini dressing is my favorite and it can be eyeballed for measurements. Its a good dipping sauce for veg snacks too. I usually double it, store in mason jar, and it has stayed fine for a month. I have an almost crippling addiction to Ken's Italian salad dressing, and I just had a conversation with a friend about how it is basically the only food I keep in my house where the ingredients label and I just agree to stay in our separate corners and pretend not to be aware of each other. I know there is laundry list of stuff I usually avoid in there...and I simply cannot stay away. I limit myself to about half a tablespoon (which is 1/4 of a serving! do people really put two tablespoons of dressing on a salad???) But I also make a Dijon vinaigrette frequently; one trick my dad taught me is that whenever you have a mustard jar about empty, that is the perfect time to add vinegar and oil, shake it up and voila, instant dressing. You can keep topping it up for ages, too. I like the squeezy or the glass Grey Poupon jars for this. 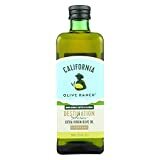 Recently read an article about many olive oils being fake, and another bonus with California Ranch is that they were one of the only ones that was found to actually be real extra virgin olive oil! My husband and I make our approximation of the "Garlic Expressions" dressing we found in our grocery store. We use apple cider vinegar and tarragon vinegar with our olive oil to give it some extra zing. I just mix one part lemon juice to one part white vinegar in a bottle and shake. Done. Bolthouse dressing is one of the few brands that I buy - it's yogurt based and all natural. The caesar tastes like a restaurant quality caesar dressing, but it's only 1pt+ for 2 tbsp. I've been making my own for years which is very similar to yours however, I am curious....when you say Dijon..do you mean the prepared mustard or the mustard powder? I use the powder.. I make basically the same dressing as your recipe, but I add fresh squeezed lemon or lime juice to brighten it up a tad. Especially great if you have avocado in your salad! I have a challenge in that a family member can't have any vinegar (very low acid diet) or citrus, etc. Can have a little mustard. I've been roasting and pureeing red pepper for a little 'tang' but would welcome your ideas! My Mom brought us up on Good Seasons Italian.She used good quality vinegar and oil.We were hooked and never used anything bottled because it tasted gross! My favorite dressing is one my grandmother used to make at home. It took me years to get it perfected even though it was so simple. I almost always make my dressing at home. I make blue cheese, Roquefort, Italian, and Thousand Island. I also make my own tartar sauce. We eat fish often and take chlorella to remove heavy metals. Even Mercury can be removed from the body through the binding action of seaweed and chlorella so ask your doctor how much should be ingested. Don't try to do this by yourself as you may have serious gastric or digestive issues as a result. One of the best ways, in my opinion, to detoxify, is eating fermented veggies to allow good bacteria to proliferate in the digestive system thus removing toxins. I never knew you could use broth or stock in place of oil. I will try that. Now on to the subject of fake olive oil.. How do you know what is fake or not? What is the bestreal brand of olive oil I can buy??? for those of you who do not wish to use any oil I have found that seasoned rice vinegar is a great salad dressing with plenty of flavor. 1 teaspoon each olive oil, vinegar (whatever flavor you prefer) and mustard (again, whatever style you prefer). Stir it up till blended - add to salad greens, toss, then add the other salad ingredients.